Hello everyone! Hope all of you had a lovely weekend! Yesterday I had the honor of being one of the guest host on Pretty Woman nail lacquer twitter account, for their back to school launch. Where I posted some swatches and nail art designs using their products sent to me. So I'll try to, individually, post them here on my blog. 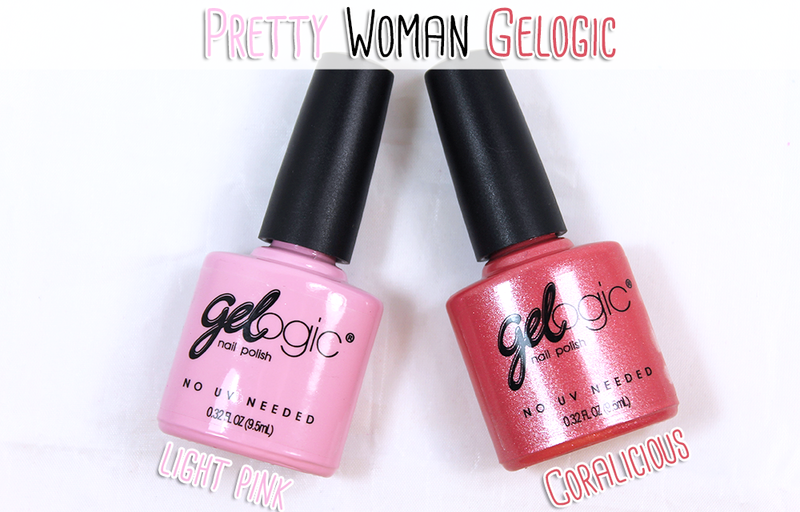 For today's post, I have two swatches from Pretty Woman Gelogic polishes. I honestly can say I was a bit curious how well these polishes were going to be, since their is no UV needed. 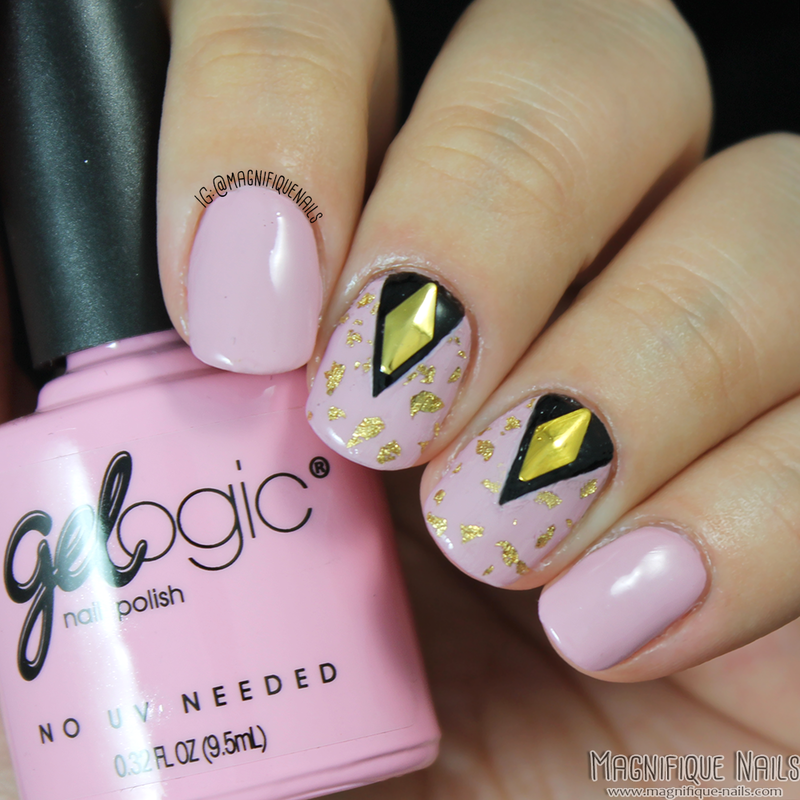 I normally do not wear gel polishes only for occasions wear I need a long lasting wear, especially vacations. However, seeing that I do not need to cure these under UV/LED light, I'm hoping the would last and convient. Coalicious- is definitely that! This is a orange shade leaning more towards coral with subtle of golden shimmers, throughout the polish. The shimmers are very subtle almost looking as if there is none. The formula on this polish was very good, a little on the thin side. However, it made the application very easy to use. This is two coats, sealed with top coat. 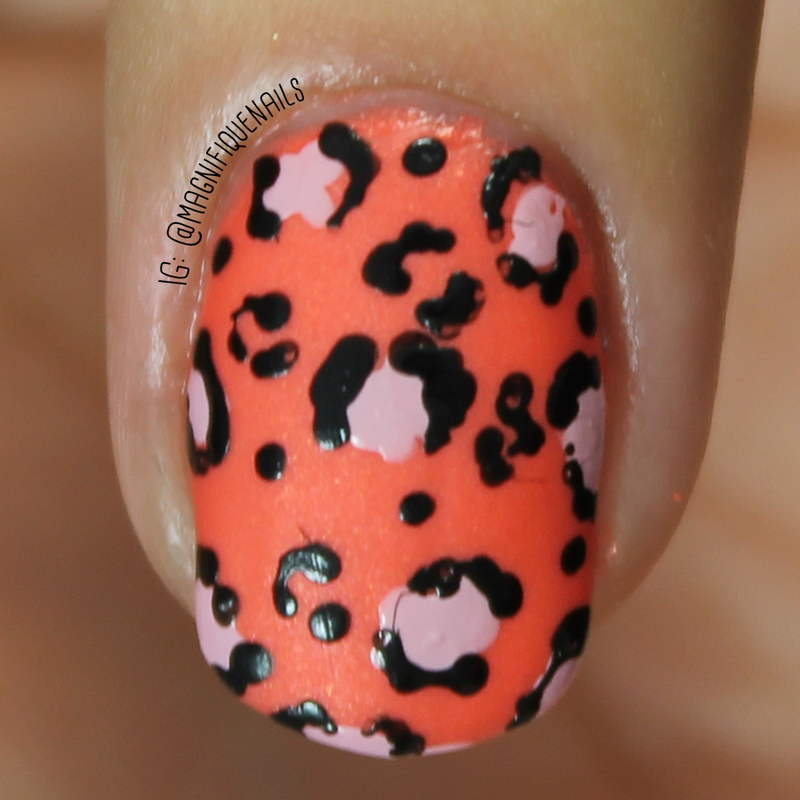 I just couldn't help to create a leopard design, let alone a matted one. Fall is coming soon, and this was the first thought I had. I haven't done one of these in along time, and even though I'm from Jersey it is absolutely one of my favorite prints, including the stud. Within the spots the pink is Gelogic Light Pink and sealed with OPI Matted Top Coat. Light Pink- is a rosy pink shade with a beautiful delicate look. The formula on this polish was fairly good, like Coalicious it was a bit on the thin side. The application was easy to apply, however, it needed a little more than two coats for a full coverage to level the streaks. This is three coats, sealed with top coat. At the moment I'm still wearing these, for the past two days, and I honestly can say, it still looks as if I just applied it. 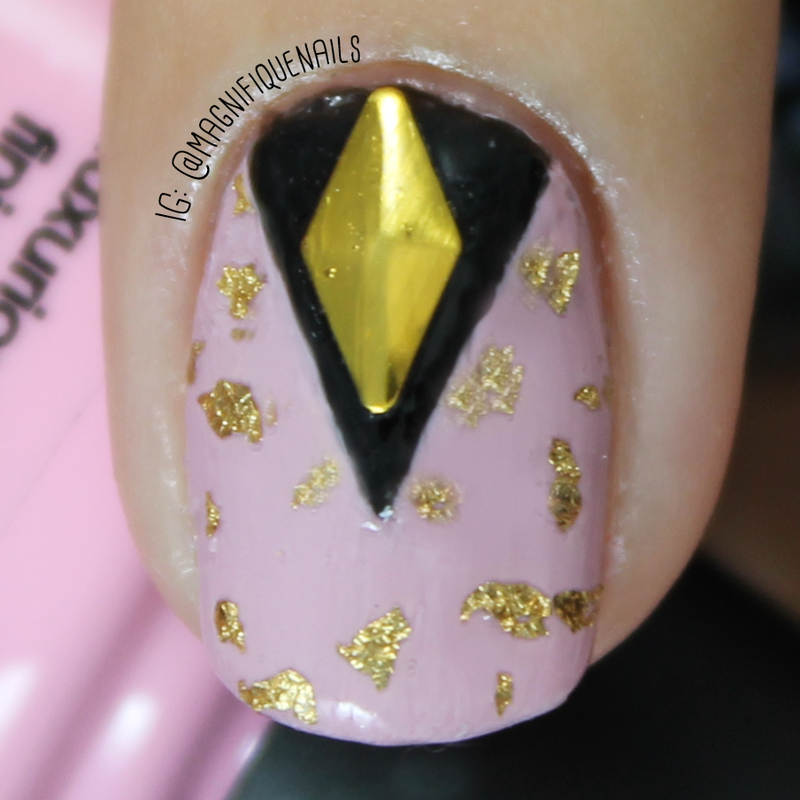 For this design I used Gelogic Black Berry for the "V" shape, and their gold foils from their Foil Effect. I added a stud to accent the design. 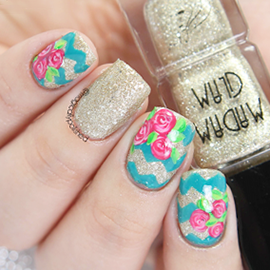 Overall I really enjoyed the look and application on these polishes. So far my nail design is staying on strong, even without the UV or LED light. Without the top coat, it definitely has a smooth glossy finish. They are available now, and retail $7.99 on their site, very affordable!